Are Bending & Lifting Associated with Lumbosacral Radiculopathy Syndrome? Updated May 2, 2018, to correct an error in how we presented the data from the study. Gout brings with it significant comorbidities, which include cardiovascular disease. Although many patients respond well to the purine analogue, allopurinol, physicians also frequently prescribe xanthine oxidase inhibitors to help manage hyperuricemia. Unfortunately, the prescription of xanthine oxidase inhibitors, such as febuxostat, is done in the absence of large, randomized clinical trials examining the cardiovascular safety of this class of drugs. The researchers randomized a total of 6,190 patients in North America to receive either febuxostat or allopurinol. They followed the patients for a median of 32 months and a maximum of 85 months. The median duration of exposure to febuxostat was 728 days, and the median duration of exposure to allopurinol was 719 days. In the febuxostat group, 61% of patients received 40 mg febuxostat and 39% received 80 mg febuxostat daily as the final adjusted dose. In the allopurinol group, 21.8% of patients received 200 mg allopurinol, 44.6% received 300 mg allopurinol, 25.2% received 400 mg allopurinol, 4.3% received 500 mg allopurinol and 4.1% received 600 mg allopurinol. The proportion of patients with a serum urate level of less than 6.0 mg/dL was higher in the febuxostat group than in the allopurinol group at Week 2 and that difference persisted in later time points, although the finding was not significant. The investigators note that many participants—approximately half from each study arm—discontinued their treatment and/or did not complete follow up. Specifically, 56.6% of patients discontinued the trial regimen and 45.0% discontinued follow up. The baseline characteristics of those patients who completed the trial visits and those who did not complete the trial visits were balanced. 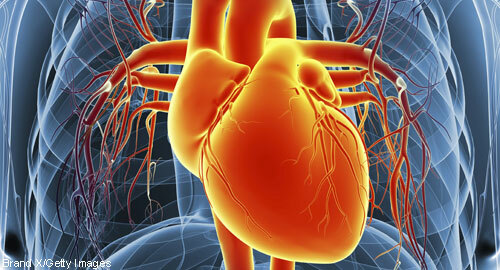 The modified intention-to-treat analysis revealed that the primary endpoint (a composite of cardiovascular death, nonfatal myocardial infarction, nonfatal stroke or unstable angina with urgent revascularization) occurred in 10.8% of febuxostat-treated patients and 10.4% of allopurinol-treated patients. These primary endpoint events occurred at a median period of 32 months. When the researchers performed a pre-specified analysis of events that occurred during receipt of the trial drug or within 30 days after discontinuation of treatment, they found that all-cause and cardiovascular mortality was higher in the febuxostat group than the allopurinol group, with a hazard ratio of 1.22 for cardiovascular death [95% confidence interval (CI), 1.01 to 1.47] and hazard ratio of 1.34 for cardiovascular death [95% CI, 1.03 to 1.73]. The results were similar when the investigators analyzed events that occurred while patients were being treated—as opposed to modified by the intention-to-treat analysis.